Are you a qualified airline pilot? An experienced hotdog eating contest champion? Or a trapeze artist with only one leg? And are you happy to leave all that high-flying, hotdog eating deviltry behind you* for an exciting career in PARTY PROVISION? Well we want you to quit that mess and come and join the World Bar team! Across our venues in Sydney and Queenstown we aim to create a working environment that compliments, reflects and respects the character of the people we aspire to work with. Great people deserve a great working environment and vice versa. We work towards the creation of a staff of people across all levels of our business unified by basic tenements of honesty, hard-work and a love of fun. We hope to share a passion for music, adventure, fashion, and human beings in all of their varied and bizarre manifestations. And there’s not much point to the whole thing at the end of the day if we don’t all enjoy each other’s company; positive vibes are the foundation of hospitality. Our aim is to create a culture which rewards great staff not only with staff discounts and the typical bar perks (although these are plentiful), but a valuable experience. For those excellent people who stay with us, we will offer development and advancement within the business; for those whose career lies elsewhere, we hope our contacts and the working experience with us in general can help propel them in their chosen direction. 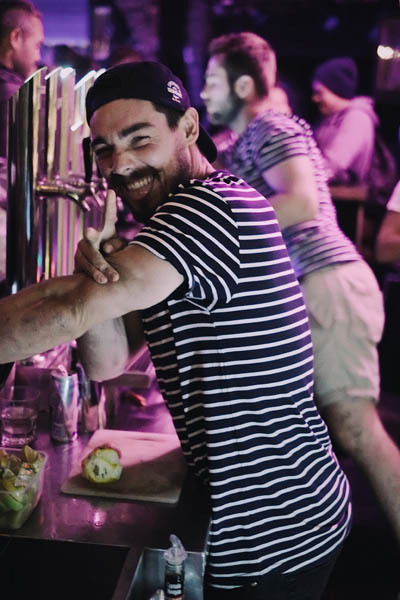 We’re always on the lookout for the best possible people across all areas of our business; bartenders, managers, promotional staff, graphic designers, handymen, philosophical gurus. Don’t hesitate to submit your CV, we will keep it on file, and we’d love to meet you in person so be sure to stop in!